If you’ve been congratulating yourself on handling this Mercury retrograde/eclipse lunar cycle* with aplomb and finesse, you might want to think again. The upcoming week could try even the coolest of cucumbers amongst us. There is nothing earth shatttering about the transits this week, but little annoyances keep building, our resiliency is tested, and if there is mounting pressure in your life, it may suddenly release. The purpose of telling you (and me) this is to suggest we come up with strategies to re-center, re-ground, and realign with intention and mindfulness when the stress gets overwhelming. Strategies of mindfulness and wholeness fit in well with Virgo’s higher purpose. This lunar cycle began in the sign of Virgo (mutable earth), and though we have transitioned into Libra (cardinal air), the Virgo imprint is on this cycle. The ironic thing about Virgo is that it can be the most high-strung of signs while at the same time the most likely of signs to have a strategy for finding wholeness and healing. I guess Virgo needs its own medicine. The prime directive this week is to find the medicine that works for each of us. As I mentioned, already, Mercury is retrograde and this influence can be incredibly annoying when all we want is pristine perfection (Virgo again). Mars is in Virgo now until mid-November. Mars in this well-tempered sign can be industrious and dedicated, but can also be impatient and highly-critical. Some of this frustration can be channeled into sexual release (yes, its true). And some into healing. Lots of t-squares sneak into this week. This is the aspect configuration that is most likely to blow our stacks. There is challenge, there is tension, and there is enormous potential. We probably wouldn’t be tempted to lose our cool if there wasn’t. An interesting current runs through the tension of the week. Neptune in Pisces (mutable water) is quincunx the Sun and Mercury, both in Libra (cardinal air). If the Sun and Mercury are seeking dispassion, clarity, fairness and exchange, Neptune is seeking to blur all the boundaries, diffuse awareness, and remind us of both grief and the beauty around us. The paradox is between hard edges of thought and rationality coexisting with the squishy edges of feelings and hopes. Something beautiful might happen. But it might also be provocative if all you want is solid information and action while someone else wants connection and empathy. Through all this tension, I like to remember my own personal rubric: If I feel polarized—like I am completely right and the other person is completely wrong—then I am missing an opportunity to integrate. I‘ve missed the opportunity to find the wholeness and healing that will help me in times of stress. I’m going to try this strategy for this week. Monday September 28. We are still very much under the influence of yesterday’s supermoon lunar eclipse in Aries (cardinal fire). Eclipses are wild cards. Some bring welcome change, others bring upheaval. 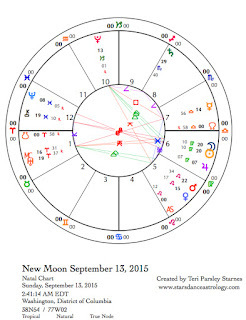 Today, the Moon forms a t-square aspect pattern that only heightens the uncertainty surrounding us. The Moon opposes retrograding Mercury in Libra (cardinal air). We want to go our own ways and could find it hard to connect and compromise with others. Give yourself room to reconsider snap decisions. Find the extra dose of patience that keeps you centered. Breakthrough, liberation, and transformation are the potential gifts of the the conjunction of the Moon to Uranus and the square of the Moon to Pluto. This is not a docile day. Events may push us toward change. Tuesday September 29. We get a chance to regroup today. The key to finding inner harmony may be to appreciate the beauty surrounding us. We are primed for this search by a harmonious trine between the Moon in Aries (cardinal fire) and Venus in Leo (fixed fire) in the early part of the day. Next, the Moon moves into Venus-ruled Taurus (fixed earth) suggesting that we could all benefit from slowing down and enjoying the present moment. There is a chance of being productive, too, with the trine between the Moon and Mars in Virgo (mutable earth) contributing focus and drive. Under it all, the desire to fantasize and daydream is strong with a quincunx aspect between retrograding Mercury in Libra (cardinal air) and Neptune in Pisces (mutable water). Body wisdom trumps conceptualization. Find your ground, and go with the flow. Wednesday September 30. Mercury reaches the heart of the retrograde journey today. The inferior conjunction is the point when Mercury and the Sun conjoin during retrograde. This point is the point of all the mix-ups, snafus, and realignments we’ve been experiencing the last two weeks. What are you learning about diplomacy, relationship, fairness, and balance? In Libra (cardinal air), Mercury has been suggesting we take a new approach to harmony. Don’t sweat the small stuff, find your guiding vision and let it lead you out of stress. A grand earth trine helps ground us. The Moon in Taurus (fixed earth), Jupiter in Virgo (mutable earth) and Pluto in Capricorn (cardinal earth) provide the anchor for insight and shifts. Earth is pragmatic, ambitious, and action-oriented. Apply your intuition to tapping this Earth energy in your life today. The Sun in Libra is quincunx Neptune in Pisces (mutable water). Insight does not come from the obvious places. October 1—Disseminating Moon: Sharing. Shame is not really a very effective way to get anyone to grow or succeed. Yet, many of us continue to pile on the shame, in hopes of curing whatever deficiencies we think we may have. I hope you’ve been learning how to do that differently this lunar cycle. There have been so many opportunities to surrender expectations of perfection during this lunar cycle, which began in Virgo and now completes in Libra. The Moon is waning, time to take stock of what we are learning. It is also time to share some of that wisdom with others. This phase is most like the harvest season of fall. Share and celebrate what you know about pursuing your dreams. Are you harvesting a new way to forgive and love yourself? We need more of that, please. We get a chance to practice self-acceptance today. The Moon in Gemini (mutable air) forms a t-square aspect pattern with Saturn in Sagittarius (mutable fire) and Mars in Virgo (mutable earth). If over-stimulated or overly self-critical, mutable signs can really stress out. Saturn influence can crush forward momentum as we often must slow down, solve problems, or take on more responsibility. In the end, Saturn helps us achieve mastery but we get to choose the methods we take to improvement. Shame is a dead-end. The potential is better communication, better planning, better maintenance of our wellness plans, better ways to express our truths. Friday, October 2. If you’ve been following along with the week’s forecasts, you will notice a repetitive theme of challenging t-square aspects throughout the week. Today is another one. The Moon in Gemini (mutable air), Neptune in Pisces (mutable water) and Jupiter in Virgo (mutable earth) are the partners of transformation today. Focus can be challenging to maintain. We tend to jump all over the place mentally and emotionally. Avoid high-pressure situations if you can and if you can’t, take extra care to go through the details more than once. Notice when you want to tune out or numb out. Those moments may reveal what you really need right now for your own well-being. Saturday, October 3. After a week of tough transits, this is the day to regroup. That may mean sleeping late and taking it easy or it could mean cleaning house and checking off your to do list. Whatever works for you. Later in the day, the Moon moves into Cancer (cardinal water) and we will want to tend to tender feelings. Perhaps you are feeling bruised by misunderstandings. Perhaps the stress is getting to you. Really, really listen to what you need. Take care of yourself before tending to others. October 4—Last Quarter Moon: Evaluating. Think back to the beginning of this lunar cycle on September 15. We’ve experienced a solar eclipse, Mercury stationing retrograde, Saturn entering Sagittarius, the Equinox, Mars entering Virgo, and a supermoon lunar eclipse. These are celestial symbols for a lot of transitions in our personal and collective lives. The general theme of a Virgo-inspired lunar cycle is of working industriously to keep our lives in order and make the best of all these influences. It can be overwhelming. That is when the Virgo-inspired themes of wholeness and devotion come in to help us cope, soothe our nerves, and center us upon the Earth. What have you experienced this lunar cycle? What have you learned pro and con about stress and solutions? The Moon in Cancer reminds us about the importance of the hearth and the impact that stress has on our hearts. Cancer can feel vulnerable (sometimes), but is often fiercely protective. Both responses may be in evidence today. If feeling weepy and sensitive, go with the flow of emotional release. The Moon makes favorable contacts with Mars and Jupiter in Virgo (mutable earth) and Neptune in Pisces (mutable water). These transits could bring out emotions that need expressing and will support doing something about situations that don’t support you or your beloveds. Later the Moon opposes Pluto. That is when the claws could come out in defense of what is precious to you. First of all, Mercury is retrograde in the sign of Libra. This pirouetting planet takes just three retrograde journeys a year. The wonder is that Mercury only appears to be moving retrograde from Earth’s perspective. It is actually the Earth that has reached the right place in the solar system to cause this illusory dance step. Of course, we know that even though Mercury retrogrades can cause disruption, they also bring opportunities to review and reset our systems. We need these adjustment periods, and what better time than during the season of the Equinox. On September 23 the Sun crosses the Celestial Equator bringing spring to the southern half of the world and fall to the northern half. Harmony and balance are created for a brief moment when night and day are equal all over the world. Breathe into that harmony. But this isn’t all. The Full Moon right after the Equinox is called the Harvest Moon in the Northern Hemisphere. Due to the position of the Sun and Moon near the Celestial Equator, the first Full Moon after the Equinox brought more light for the workers in the field taking in the harvest and so earned this name. EarthSky has a great article explaining the Harvest Moon. This year’s Harvest Moon is even more special by being a supermoon Lunar Eclipse. Talk about dance steps. Do you hear celestial angels singing yet? A supermoon is when a new or full Moon occurs at the point in the Moon’s orbit when it is nearest to Earth. The Moon looks bigger, because it is closer to us. Supermoons have stronger influence on the Earth’s tides as well as our emotions. Eclipses are the ultimate in harmonic placement. The Moon, Earth, and Sun need to be just the size they are, at the distances they are from each other, to create solar and lunar eclipses. These three bodies also need to be on the same plane at the time of the New or Full Moons for eclipses to occur. Was it actually a celestial choreographer who set that up? If so, good job. Whether it is by coincidence or plan, these celestial dance steps fill me with awe. It is good to step outside the concerns of our own lives and times to look up with wonder. This wonder is the source of astrology and fills the observation “As above, so below” with hope and harmony. We need that, yes? September 21—First Quarter Moon: Manifesting. This lunar cycle began in Virgo and transitions to Libra this week. I’ve been paying attention to the cusps between signs in my lunar forecasting for the past few months. The cusp between devoted and industrious Virgo and the balancing and partnering sign of Libra describes the transition from the work we do alone to the work we do together. Under this manifesting phase of the Moon, these questions occur to me: How do I enlist others to help me do my work? How will I cultivate partnerships? What am I learning from my collaborations? How does the work change when I expand into inclusion? Whatever you are manifesting right now, you may find you need the help of others now. The first two weeks of the lunar cycle have been about evaluating the changes we want to make. Now we apply commitment and integrity to the work. The Moon in Capricorn (cardinal earth) is focused and determined. The ruler of Capricorn, Saturn, has just re-entered Sagittarius (mutable fire), where it resides until December 2017. We seek to marry vision with integrity and responsibility. This could feel confining if we resist the hard work, but incredibly useful to making a better world. The paradoxical quincunx between Venus in Leo and Chiron in Pisces today asks us to consider not discriminating between selfish and selfless desires. Tuesday, September 22. The Moon in no nonsense Capricorn will not put up with the shenanigans that happen today. First the Moon contacts Pluto in the early morning hours (CDT). Perhaps a dream about death puts you in a somber mood. Then the Moon squares retrograde Mercury (I almost wrote “renegade” because Mercury feels that way today). Then the Moon squares Uranus and we may really lose our patience with the fools around us. Venus in Leo (fixed fire) will try to soothe things as it makes a trine to Uranus in Aries (cardinal fire) later tonight. This may look like surrounding yourself with the people you like and trust to create the revolution you wished would happen. Wednesday, September 23. Fall Equinox. What does it take to bring equilibrium into our lives? After many years of pledging to be more balanced at the Equinox, I wonder what it really takes. I like the word equilibrium. In mindfulness practice, the word implies a state of observation that is not swayed by whatever is showing up in that moment. Balance requires me to hold dual awareness. The Libra scales are perfect symbols of this. On one side, I am experiencing what I am experiencing. On the other side, I hold mindful observation of myself as I experience what I am experiencing. The ability to observe is key to balance. Astrology is a wonderful tool for observing. Today, the skill of observation is enhanced by the Moon in Aquarius (fixed air) trine to the Sun in Libra (cardinal air). Air signs bring detachment and perspective. This self-observation may even bring a desire to get more structured, start a new routine or cut something out of our lives that gets in the way of equilibrium as the Moon and Sun make favorable transits to Saturn, who loves to do such things. September 24—Gibbous Moon: Perfecting. At the beginning of this lunar cycle, I wrote about consecrating our temples. The idea came from the transition from Virgo’s devotion into Libra’s alliances. Consecration comes from the roots of words meaning making sacred together. We can’t do it alone, the re-sacralization of life. We need to collaborate to get out of the mess we are in. Remembering that everything is sacred is a start. We continue to perfect the potential of this lunar cycle. A key component to this work is remembering our grief and our fears. That yucky stuff is usually relegated to the planet Pluto. Pluto is powerful today as it is stationing direct right after midnight tonight. Pluto is powerful enough to be felt for a few days before and after it stations, reminding us how precious and finite life is, as well as how deep and dark it can be. Mercury (which is retrograding) in Libra (cardinal air) makes its second square to Pluto in Capricorn (cardinal earth) today as well. The third square between these two planets will occur when Mercury turns direct again. Mercury’s mission in this retrograde journey is to remind us how important our relationships are and to confront the unhealthy power dynamics that can get in the way of thriving relationships. We need to be honest with others, especially if we perceive them to hold power over us. Another important shift happens today with Mars entering Virgo. Mars is the ardent hero within each of us. 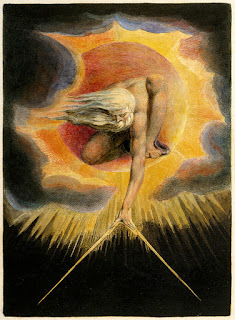 Virgo’s ardor is for purity. Not the kind of purity that keeps us shut down from life, but the kind that burns hot with pure passion. Mars will be in Virgo until mid-November. Use this time to discover your pure passion. Friday, September 25. Yesterday, I wrote about pure passion. Today’s challenge is to accept that with passion comes responsibility. However, if we accept limitations on our passion, we can access incredible inspiration today. The Moon in Pisces (mutable water) opposes Mars in Virgo (mutable earth) and both are square to Saturn in Sagittarius (mutable fire). The t-square aspect pattern forces us to combine idealism, passion, and commitment into one coherent whole. The tendency, with so many mutable signs involved, is to lose focus, space out or lose track of what we really want. While Mercury is retrograde, remember to include an extra dose of patience in your day as others around you are having a hard time staying focused too. Saturday, September 26. Dreamy, dreamy, dreamy, dreamy. That is the predominant energy of today. The Moon in Pisces (mutable water) conjoins Neptune and opposes Jupiter in Virgo (mutable earth), all before we get out of bed (CDT). Perhaps we just don’t want to wake up at all. Important integration is going on in all that dreaminess. Idealism is strong. Expectations for perfection are strong too. How do you get out of your own way? September 27—Full Moon: Illuminating. Lunar Eclipse. Supermoon. We are presented with an opportunity to re-pattern standard assumptions and responses during this lunar cycle. 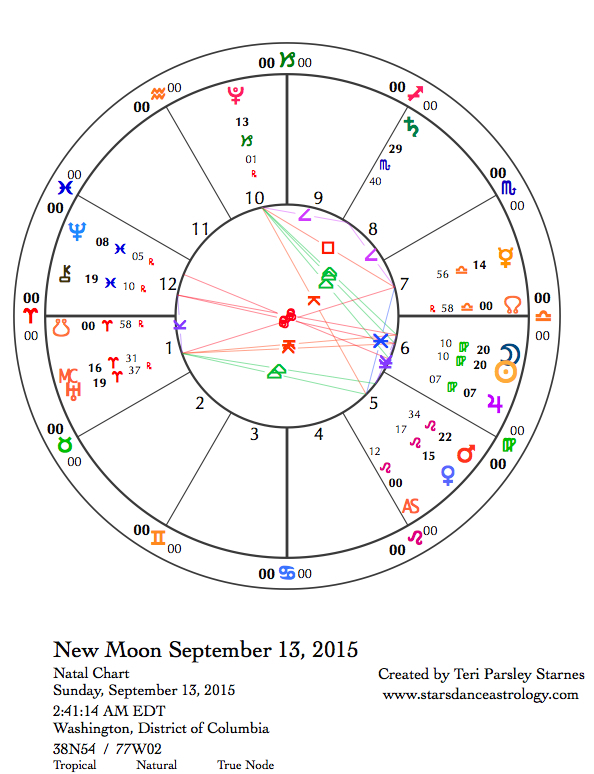 Both Mercury retrograde and a lunar eclipse today may help us wipe the slate clean for a new start. Mercury is retrograding through Libra, where the Sun is located. The eclipsed Full Moon is in the opposite sign, Aries. Mercury is working on our relationship assumptions. The Moon is working on our identity assumptions. It may feel that everything is up for grabs right now. Perhaps we can change who we are. Perhaps an unexpected encounter with another person will bring a whole new adventure. This is a magical Full Moon. A supermoon occurs when the New or Full Moon happens at the point of the Moon’s orbit when it is closest to Earth. The Moon is bending down to whisper something important. It may be to remind us about the importance of being authentic to ourselves while at the same time realizing that none of us can do this all alone. We welcome the friends, allies, and even foes who join us for the journey. 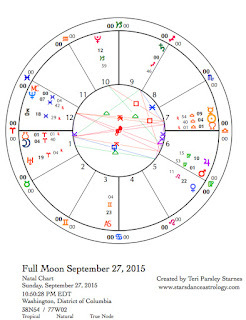 Mars in Virgo (mutable earth) is square Saturn in Sagittarius (mutable fire) in the chart for the Full Moon. Both Saturn and the sign of Virgo may be trying to put a kibosh on the free flowing action that Mars likes to have. We are feeling frustrated in some way. Mercury retrograding through Libra (cardinal air) doesn’t help either. The opportunity is to apply that frustration to improving our health, our systems, our organizations, whatever you are passionate about right now. Saturn is telling us to work harder and smarter. A separating opposition between Jupiter in Virgo and Neptune in Pisces (mutable water) are addressing the ways we idealize and fantasize. Vision is important, and grounded pragmatism is too. How easily are you able to combine both? There is ample inspiration at the Full Moon if we are also willing to stick with the mundane practices that help keep us accountable, healthy, and whole. The Virgo season* brings out the worker bee in people. Bees have a strong affinity to this sign and season of late summer (in the Northern Hemisphere). Gardens and fields are filled with a variety of blossoms. Such abundance. The bees are busy collecting the last of the Sun’s energy stored in the nectar and pollen of these blossoms. We too, are busy using the excess energy of the still ascendant Sun to prepare for the fall ahead. Buzzing and busy. This activity can feel very satisfying and productive. It can also induce anxiety and overwhelm when we expect too much of ourselves. The Virgo season also presents an opportunity to heal imbalances. Bees help here too. Bees are allies of energetic awareness, especially around health. Our bodies have vibrational fields that tell us when things aren’t going right. We can attune to these vibrations and tend to our needs if we pay attention. On Wednesday September 16, Jupiter in Virgo will oppose Neptune in Pisces. Oppositions help us differentiate so we can integrate. There is a lot of difference between working (Virgo) and dreaming (Pisces). Industrious types can judge the dreamers. Dreamers feel that the workers don’t get the big picture. What side do you fall on? Dreaming and working form a partnership for becoming. On Thursday, September 17, Mercury stations retrograde at 15 degrees Libra. With Libran harmony and fairness as the goal, we will need to backtrack, restate, reconsider, and reframe our thoughts and words. Humor and patience are helpful! Mercury will station direct on October 8. With the influences of Neptune’s dreams and Mercury’s trickery upon the week, it might be hard to get ourselves organized enough to make clear progress in our busy lives. Remember to pause, tend to your whole self, and appreciate the beauty around you. Every bee is steeped in floral splendor even as it busily gathers food supplies for the winter. We can do that too, right? Look for my regular forecast next week.